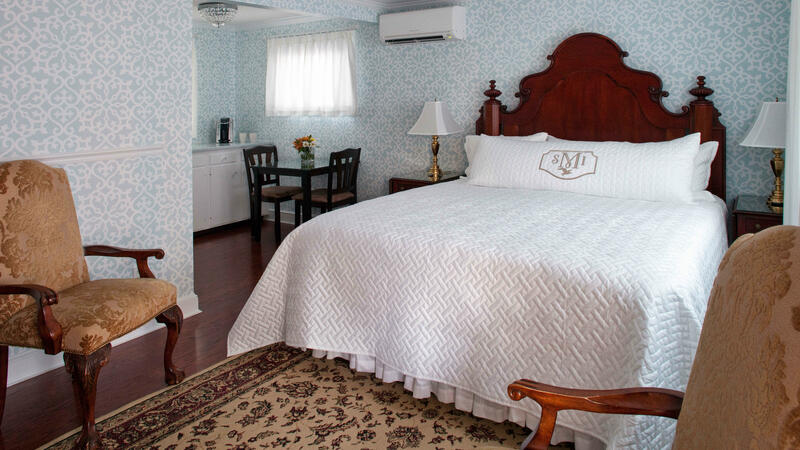 This luxury suite is decorated in light blue and white geometric patterns and includes a California King mahogany plantation bed. It features a gas fireplace, hardwood floors, an iPad docking station, a flat panel TV and cozy armchairs. The separate breakfast room is equipped with a mini fridge, a microwave and a Keurig coffee maker. You’ll also enjoy marble counters, custom upholstered armchairs and a crystal chandelier in this lovely suite. 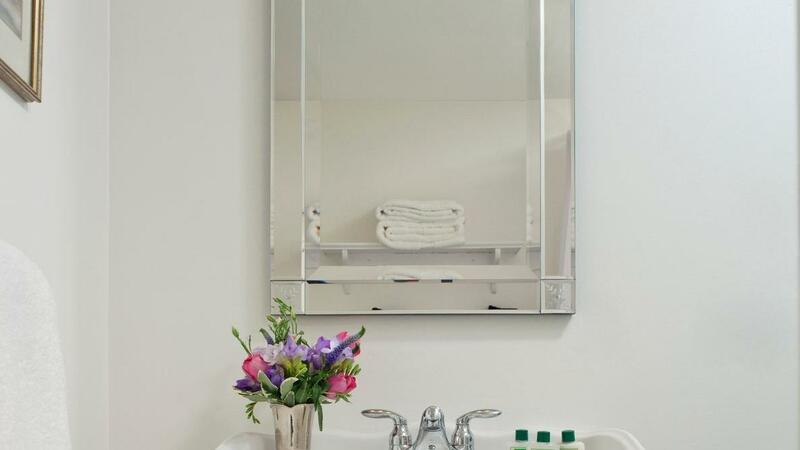 The bathroom boasts a tiled double whirlpool tub and a shower with ample storage. Also, the state-of-the-art heating and cooling system is perfect for keeping you comfortable all year round.